The author of this enigmatic hookline full of loving and longing, is Aloe Blacc, rapper, academic, musician, singer, and poet all at once. His lyrics are reminiscent of the socio-critical style of Marvin Gaye, and his music makes handmade Soul and Funk socially acceptable again. In the next weeks Carhartt will present the first big European tour of the soul music newcomer from the Stones Throw Records family. Together with his band The Grand Scheme, Aloe Blacc will perform his brand new album, Good Things, for the first time on stage. Before he hits the stage we talked to the L.A. native about his background, his vision, and his philosophy of music with a message. Hello Aloe. As an introduction, can you tell us a little bit about yourself? Aloe Blacc: I am a first generation American. My parents are from Panama and I grew up in Southern California where I became very involved in Hip Hop music at a young age. My parents played a lot of music in the home, so I was also exposed to Salsa, Reggae, Calypso, and other Caribbean styles. I played trumpet in the school band, but became an MC in high school and stopped playing for a while. When I went to university, I continued to make music with DJ Exile releasing Emanon projects, but academics was my priority. When I graduated, I went to work in corporate America as a business consultant, but they let me go after a couple of years so I decided to do music full time. But you’ve been recording music and other projects besides Emanon for a very long time? 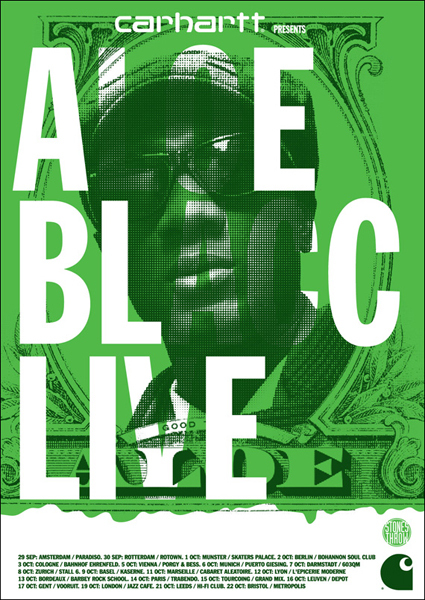 Aloe Blacc: Yes. I have been writing lyrics since I was nine years old and I have been recording music since I was in high school at around age 15 when I started Emanon with DJ Exile. Since then, I have recorded many songs. Recently, I completed a few unreleased projects in different genres. One project is sort of Indierock, another is experimental acapella, and then there is another Emanon album on the way with Exile called Birds Eye view. I’ve got an album called Change Your Mind and another called Raining Bullets that will likely come out in the future as well, unless I give the songs to other artists. Aloe Blacc: I am inspired by many things in life. Sometimes I base my songs on real life experiences or on imagined events that I create. Sometimes I listen to other music and make songs as a response to songs that I like or dislike. My creativity is always flowing and it often happens that I write songs on the airplane or while driving. There is something about motion, like when I am walking or jogging, that helps me create new ideas. I make every song that comes to mind and then I filter them for different projects depending on the genre. Can you name us some artists that have a main influence on your work? Aloe Blacc: Sure. Donny Hathaway, Joni Mitchell, James Brown, and Cat Stevens are just a few who have made an impact on my work. Nas and A Tribe Called Quest have also influenced me in many ways. There are far too many to mention, but it’s mostly the greats in any genre. Many of your songs deal with modern controversy and social issues. Do you believe that today’s world needs music with a social message? Aloe Blacc: Music has always dealt with social, political, and controversial issues. I think that the modern music industry is censoring true artists who make important statements with their art. Unfortunately, too many labels want to control what artists do for sales rather than creatively promote and market their artistic output. In turn, artists feel as though they have to make music for the marketplace that will sell, which threatens the integrity of their work. I feel it is the responsibility of anyone with a platform to reach many to be conscious of the power they have and use it wisely and positively. I try to write stories that people can relate to in order to describe our times in my songs. People can appreciate a story because this has been a major method of communication for millennia. I think the sign of our times is that technology has become more important than nature. I think we have forgotten how important our ecology is and that we must respect its balance as we develop new technologies to entertain ourselves, because what we do for fun harms the next generations. Would you describe yourself as an entertainer or a musical activist? Aloe Blacc: I think I am more of a musical activist. I enjoy entertaining, but I am more interested in educating people in a way that is not obtrusive. Some of my favourite songs are those that include a social message, yet are very attractive to listen to and even dance to. For example, James Brown’s song Say it Loud, Marvin Gaye’s hit What’s Going On, and Sam Cooke’s classic A Change is Gonna Come are all perfect examples of songs that are beautiful musically and include an important social message. You are a singer and an MC too – what your prefer more? Aloe Blacc: I prefer singing more right now and I think that it also has the biggest impact for sharing my stories. The beauty of singing is in the power of melody and harmony. You can say so much with just a progression of three notes. The voice is an instrument and can effect people without words. Combined with the right lyrics, a voice can make a powerful impact. How important was Hip Hop for your artistic development? Aloe Blacc: Hip Hop educated me on many different styles of music because when Exile and I were making songs, we were sampling from all genres. I also had some musical education as a trumpet player in school, but Hip Hop made me fall in love with being an artist and not just a musician. I learned to create my own music rather than just play notes printed on a sheet of music. Do you see yourself like an Hip Hop artists or rather like a classic Soul singer? Aloe Blacc: I prefer the world calls me a Soul singer because that includes being a Hip Hop artist. When did you produce the album Good Things? And how long did it take? And who been involved? 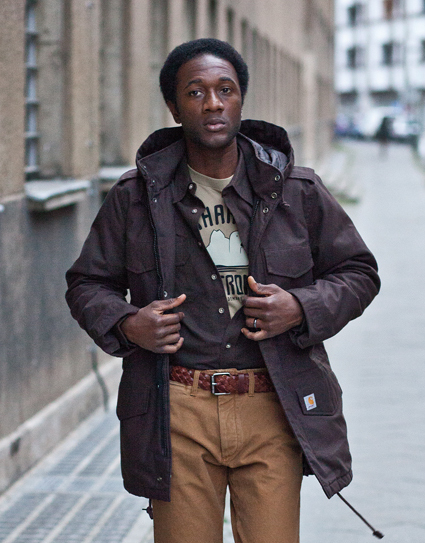 Aloe Blacc: I started recording songs for Good Things with the producers at Truth & Soul in February 2009. I had already written some of the songs and had some song ideas that I added to their instrumentals as well as created new songs with the producers and musicians. It took about two weeks of recording time, but mixing and mastering took longer. The album sounds very organic – did you feel the need to produce an opposite pole to all the good produced plastic sounds out there? Aloe Blacc: My initial intent was to make a solid album. It does stand against the synthetic and meaningless music that floods the media today, but that is more of an after thought than on purpose. Can you tell us the story behind your hit I Need a Dollar ? Aloe Blacc: I was driving when I wrote the lyrics and vocal melody to . During that time, I was listening to a lot of older music and my friend, Brad Goldhorne of the band Team Scrub, gave me some field recordings of incarcerated chain gang workers. The simplicity in their songs influenced the simplicity and repetition in my song. How would you describe your music stylistically? Aloe Blacc: I like to call my new album Brand New Old Soul because it is new music with a classic soul feel. It reminds me of Al Green, Bill Withers, Otis Redding, Curtis Mayfield, and Marvin Gaye. 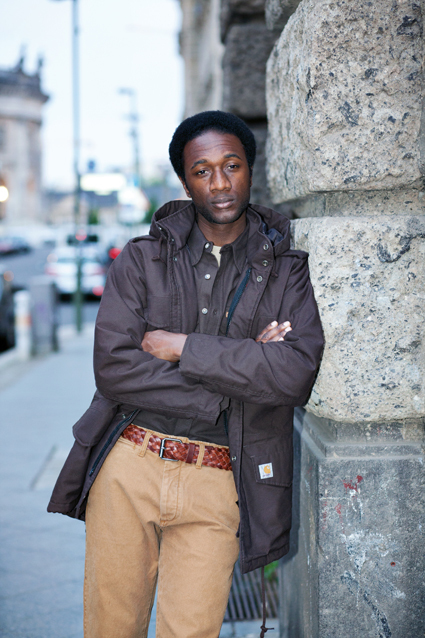 Aloe Blacc: The aim of my music is to build awareness either through song about issues that we all need to attend to. Social problems, like the lack of universal health care in the USA, and political issues, like despotic tyrants in African countries, are important to address. I hope that I can at least start a dialogue with my music. Aloe Blacc: Soul means . Without love you can’t live; therefore, without soul you have no life. Soul music is about life. It is about love, and pain, and happiness, and struggle. It helps us to celebrate and to mourn. It is our cultural staple. Jamaican soul music is called Reggae. Cuban soul music is called Son or Salsa. Soul music often defines a culture and a people. Finally can you tell us a little bit about the band that will back you up on your upcoming Europe tour? Aloe Blacc: The Grand Scheme is a band of musicians from L.A. who are all down for the cause of bringing positive energy to the world. They are all trained in music schools, but have their own understanding and style, and each member makes his own music on the side.